Drafting chairs are no longer reserved just for engineers or architects. 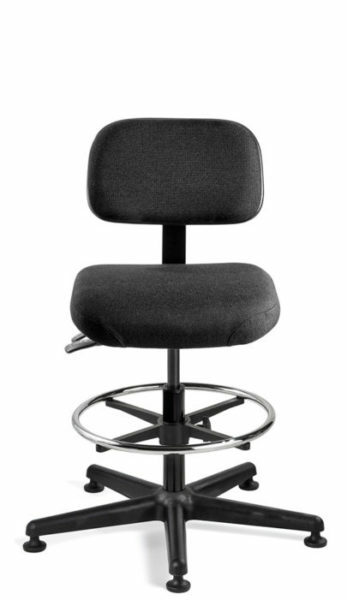 Bevco drafting chairs are designed to provide the necessary ergonomic support needed at a taller height range than a standard desk height office chair. 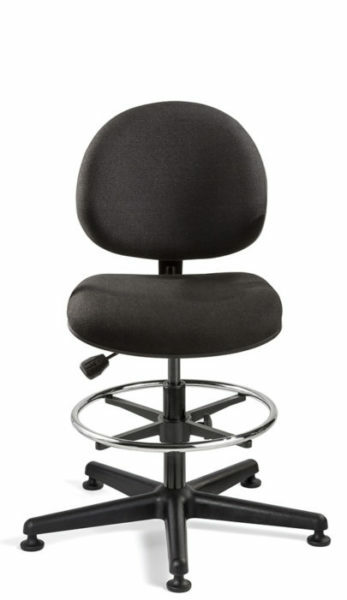 Drafting chairs are used in a wide array of applications such as airports, laboratories, retail environments or any function that requires a worker to be at eye level with a customer or to complete their work. Bevco enables you to select the optimal ergonomic functionality of your chair so that it’s custom tailored to your specific seating needs. All of our drafting chairs come standard with a footring to reduce pressure on the back of your legs allowing for improved lower body circulation. The wide, sturdy base guarantees needed stability for the taller height range. 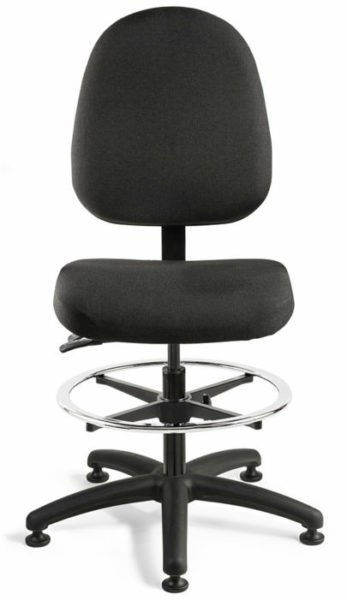 Bevco manufactures numerous drafting chair options, from rugged polyurethane chairs to the comfort of an upholstered chair. You will find what you’re looking for with Bevco. All of our upholstered chairs are manufactured in the USA at our Waukesha, WI factory. Each chair is as unique as you are because our chairs are made-to-order giving you full control to craft your chair to your exact specifications. 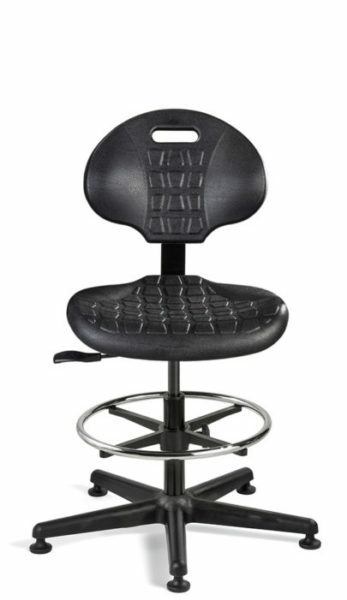 Bevco’s drafting chairs are built to meet the demands of daily use. They are the perfect combination of comfort, style, and affordability. Explore the Bevco difference today! Our polyurethane chairs are second to none. They are manufactured to be used in the toughest workplace environments. 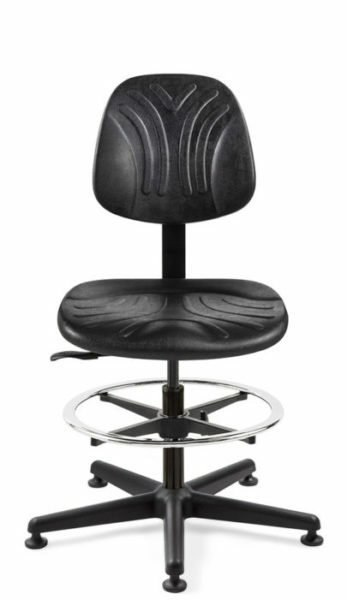 The polyurethane seat and back are non-slip, puncture-resistant and are impervious to water, oil and most chemicals. Despite their extreme durability, these chairs still offer excellent cushioning properties to provide the optimal seating experience. Explore the Breva, Dura and Everlast series to determine which chair will best meet your needs. Our most popular and versatile chair series – The Integra is made with the highest quality materials and expert craftmanship. The Integra provides around-the-clock comfort with a wide range of configuration options. 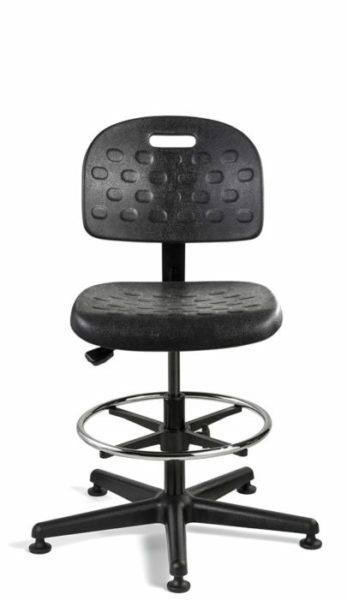 Bevco’s Doral series chairs are designed specifically with smaller users in mind. 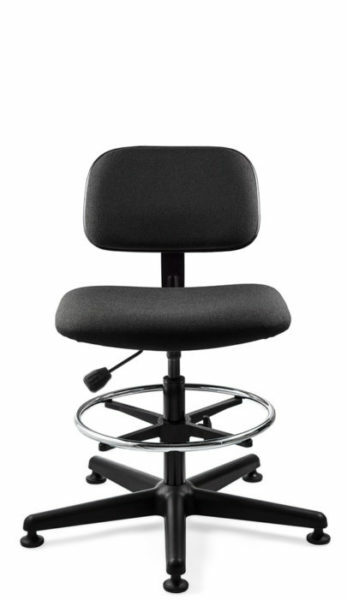 This chair comes with a small production-style back aimed at delivering absolute lumbar support. The Westmound is an alternative to the Doral series that offers a wider contoured seat. The Lexington stands out for its simplicity and cost-effectiveness. This chair delivers all of the outstanding ergonomic benefits of our standard upholstered seating solutions with a smaller range of configuration options. 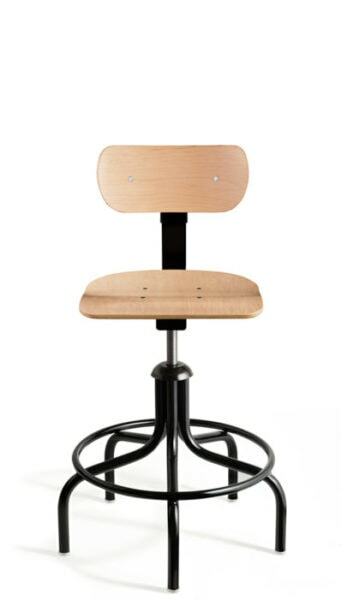 Bevco’s plywood drafting chairs offer a classic, timeless seating option for bars, cafes, restaurants, schools/universities along with numerous industrial settings.